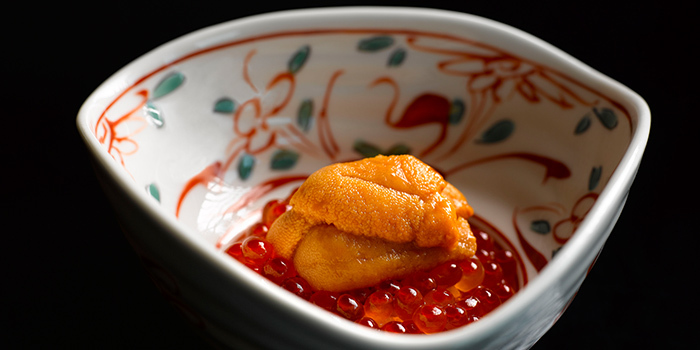 Hidden away from the rip-roaring CHIJMES lies Ashino, a cosy ten-seater restaurant that successfully recreates the experience of dining in a bespoke sushi restaurant in Tokyo. And no details have been spared here, from the decor that features a sushi counter fashioned from a 180-year-old block of hinoki cypress wood to the imported ingredients flown in from Japan. 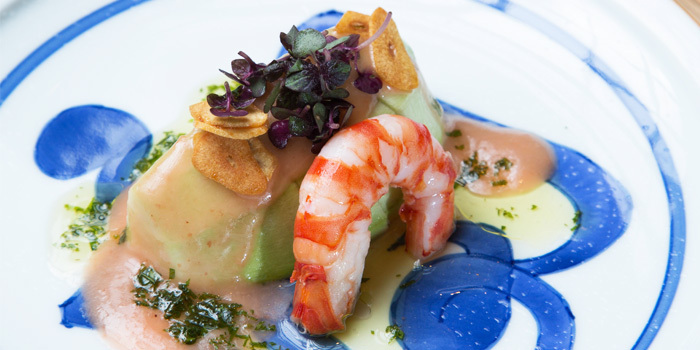 Heading this restaurant is none other than Taku Ashino, whose precision and meticulousness help elevate the delicate ingredients them spectacular. 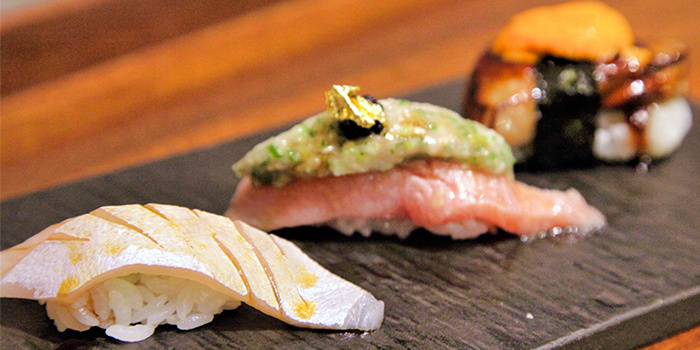 Having trained in various sushi restaurants in Tokyo for over a decade, Ashino pays careful attention to making the ingredients sing, grilling his fish over a binchotan grill instead of a gas torch, as well as cooking a blend of Hokkaido and Niigata rice in a traditional iron rice pot with Mount Fuji water to achieve the perfect texture of rice. 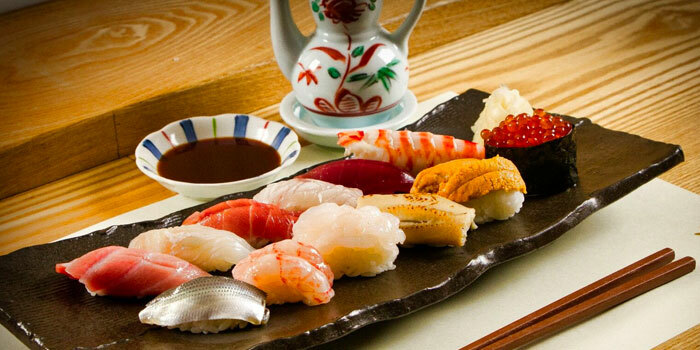 Whether you choose a set or omakase menu for lunch, rest assured that you’ll be in good hands. 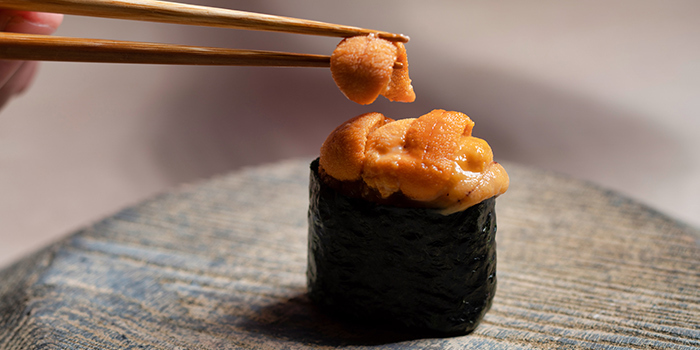 Signature sushi classics make an appearance, from the delectable melt-in-your-mouth Fatty Tuna to the Fresh Salmon Roe that provide bursts of flavour when you bite down on it, leaving you with nothing but a smile on your face.